This afternoon I had the opportunity to explore the newish Ponce City Market, one of those fancy food courts (with a few shops on the side) that seem to be springing up in every major city. This one happens to be in the old City Hall East, which before that was the Sears Roebuck building. In other words, it’s got a lot of history. One of the numerous eateries that immediately appealed to me was Bellina Alimentari. 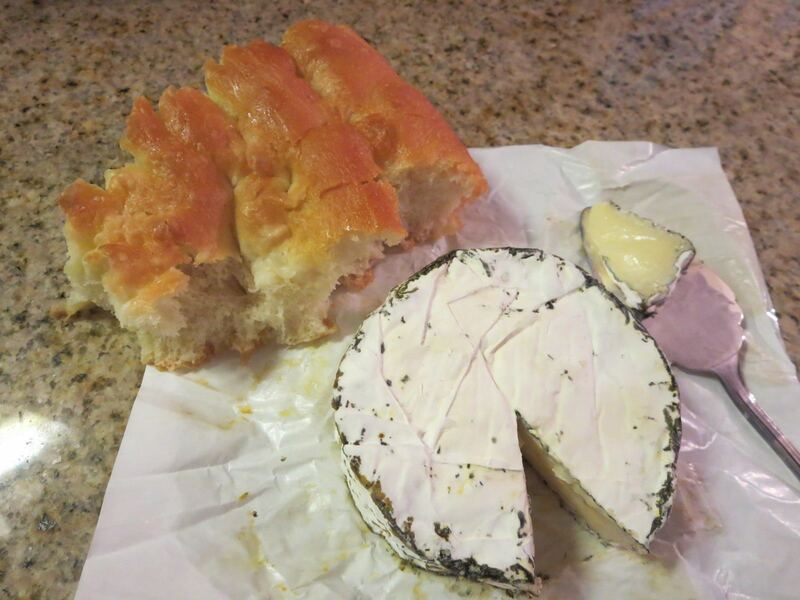 After having fun looking over their Italian import products, I noticed that they also had a carefully curated cheese selection as well, so I picked out two homegrown hunks, Thomasville Tomme from Sweet Grass Dairy and Southern Aged’s Georgia Gold. The Tomme was probably my favorite, because it’s so easy to eat and eat and eat! The GG cheddar is actually the only cheddar made in Georgia which makes it pretty special. I also requested a half loaf of the impressive schiacciata (aka Florentine focaccia) on display. It was about 2 inches in height, very fluffy, and required a hand washing or wipe down after each little bit I tore off from it, as it was quite oily, but in a good way! There were big crystals of salt atop and every single bite was a pure delight. When married with either of these delicious cheeses, it was even more heavenly. I also selected a third cheese, Out of the Ashes, based on the intriguing label alone. It was made by a couple who call themselves, Woodsman & Wife. This one definitely packed a punch! As you can see below, it had a very ashy rind and a super creamy interior. The flavor was quite strong and to be honest, it was not my favorite, definitely an acquired taste. I wondered if, like my beloved Kunik, there was certain window in which to purchase it before it became overripe. We ultimately didn’t eat that much of it, and I didn’t take it back with me on the plane, for fear of wiping out everyone with its growing aroma. So, I guess the moral of today’s cheese story is don’t pick your cheese based on its label. Though knowing me, I’ll likely do this again anyway. Tonight, I went out with two college chums, Harbourne Blue and Hamakua, to the highly recommended Kimball House, located in the depot across the street from our old stomping grounds. We could’ve eaten on campus, but I think we made the much better choice to visit one of Decatur’s finest, hippest eateries. It will come as no big surprise that I opted to get the cheese plate as my main entrée. 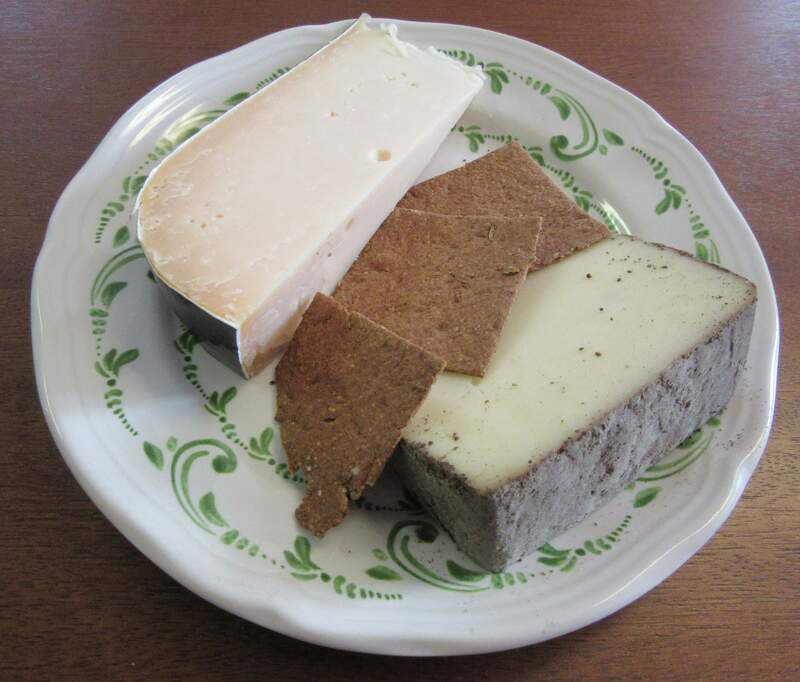 Starting from the left, there is Caña de Cabra, a Spanish goat cheese; then, Belletoile, a triple cream brie; next, Deer Creek’s 7 year Proprietor’s Grand Reserve Cheddar; and finally, the Sweet Home Perdido, from yes, Alabama. As you can see I also had quite a few accompaniments, too: a tangy mustard, some pickles, microgreens, chopped nuts, and my absolute favorite, a homemade strawberry jam. I was licking the ramekin at the meal’s end–I kid you not. 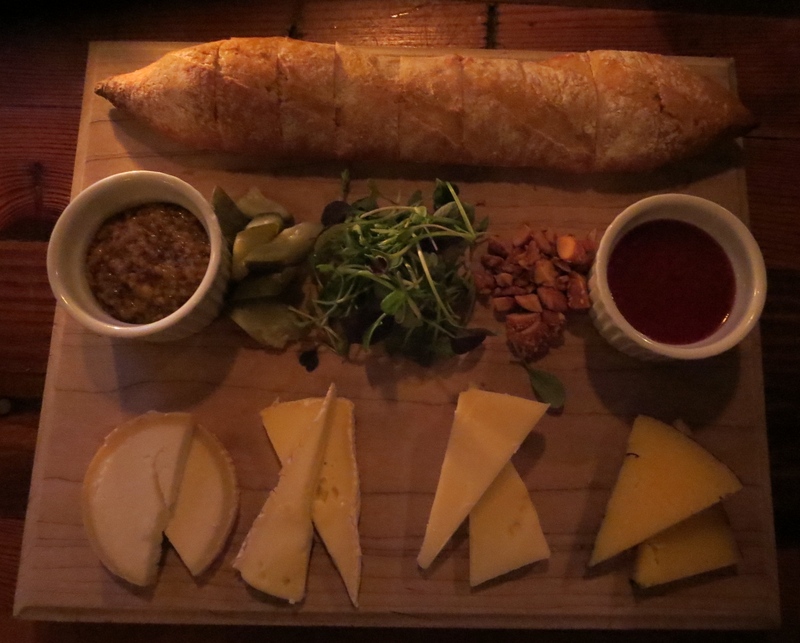 The cheeses were all delightful, and I was kind and shared some with Harbourne & Hamakua. Beyond my rapture with the jam, which caused a Proustian style flashback in me to freezer jams from my childhood, I can’t say that I had a favorite cheese. Probably the cheddar went best with the jam? Kimball House supposedly changes their menu every day, so I look forward to going back and seeing what new cheeses are available to sample. I got to Atlanta just in time for The Vortex‘s 25th birthday bash. My ATL bestie Idiazabal had initially mentioned going out for Indian, but when we heard about their big day, we knew we couldn’t miss it. Plus, tots! 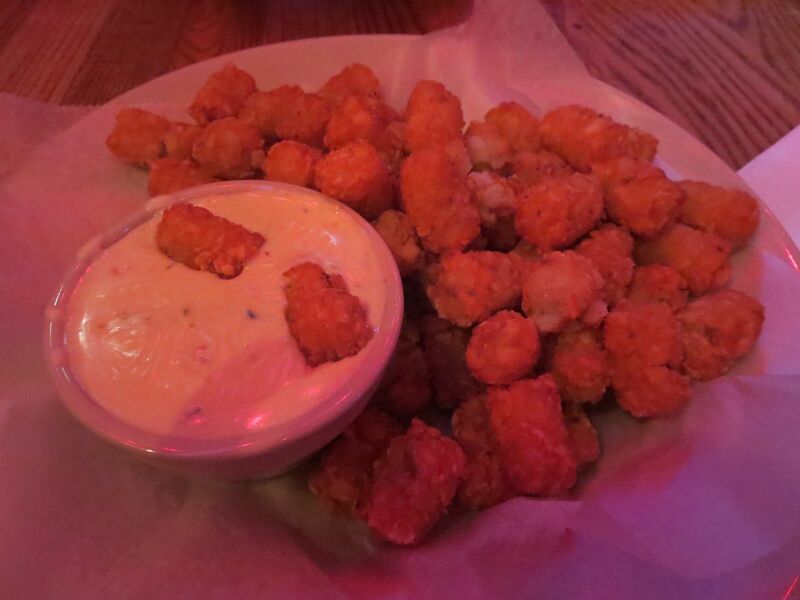 We ordered some of their Cheesy-Cheese Goo to go along with them, and it was delish. The only unfortunate thing was that I’d forgotten that the Vortex is pro-smoking and being in a restaurant clouded by smoke just seems weird in this day and age. Even in Europe, where smoking is so much more common, the smokers have to go outside in almost every country. So, the atmosphere wasn’t the greatest, but the food was still delish, if a tad disgusting. I’m not gonna ask what exactly makes this cheese so gooey. Also, you can get pimiento cheese here on your burger, including a damn fine veggie one. So, two points for cheese minus one point for smoke. Yep, I’ll be back, but maybe doing takeout next time, if Georgia still hasn’t caught up with the rest of the world. My lunch this afternoon had an element of déjà vu to it. Like today, about 3 months ago, I was on my way home to Georgia. I was flying Delta, whose terminal D is the nicest of all at LaGuardia, and I had extra time to kill, so I sat down at Crust and ordered some bruschette. 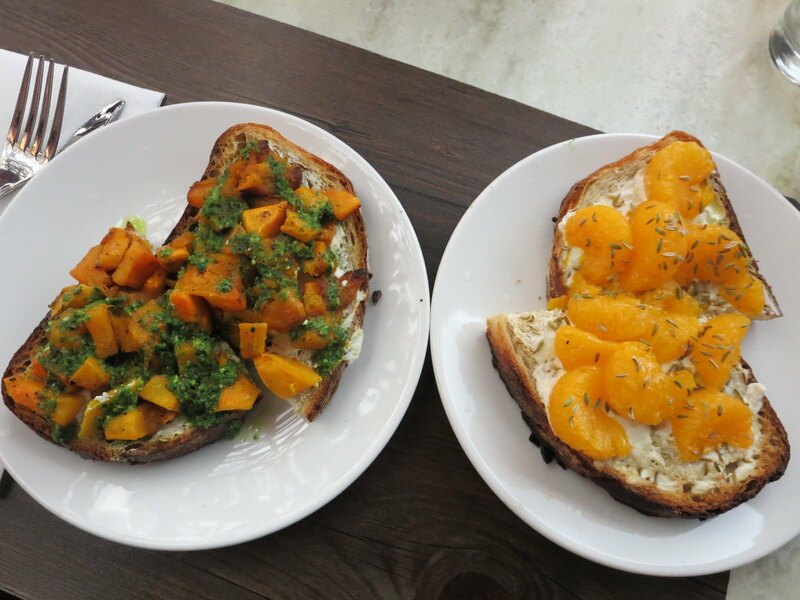 On the left is Butternut & Mascarpone and on the right Ricotta & Fennel. Obviously, there are some other ingredients–a bit of pesto mixed in with the squash and mandarin slices piled atop the ricotta–but the recipe is pretty simple. And if you aren’t like me and fearful of any cooking that involves chopping, you might even try to make them yourself at home. Anyway, back in January, I had this very same meal, but unfortunately, my camera was lost/stolen before I had a chance to upload the pics I took at that lunch, so finally I had the opportunity to recreate what had disappeared. And I certainly didn’t mind revisiting this restaurant a second time. I like to think of the squash one as the main and the mandarin one as the dessert. Both were delicious and there are many other bruschette toppings to choose from, so if you find yourself stuck in this NYC airport with a sucky delay, at least know you can pass the time with some tasty food. Today is National Beer Day. I don’t know who decides these things, but on my way through Grand Central this evening, I saw that Murray’s had some cheeses on sale that reputedly paired well with beer. So, I picked up a small hunk of the Swiss Challerhocker. I also got some of Effie’s (effin’ amazing) crackers. I think I got the rye variety this evening. Anyway, back to the cheese. Challerhocker is described as being a sort of super Appenzeller with extra cream mixed in and being given more time to ripen. 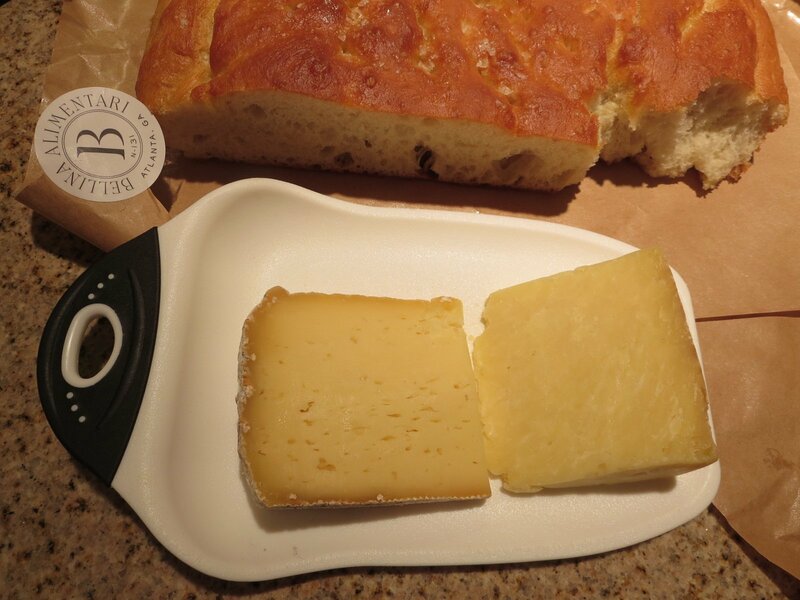 I’ve tried a few basic Appenzellers before (pre-blog) and they were fine basic Swiss cheeses, but this one was extra yum. I found myself continually cutting off “just one more piece” and then another and another. It’s a very friendly cheese that your palate will adore. Do yourself a favor and take this “cellar-sitter” home with you. Your taste buds will thank you. And pop open a brewski on the side. Ahhhh…. 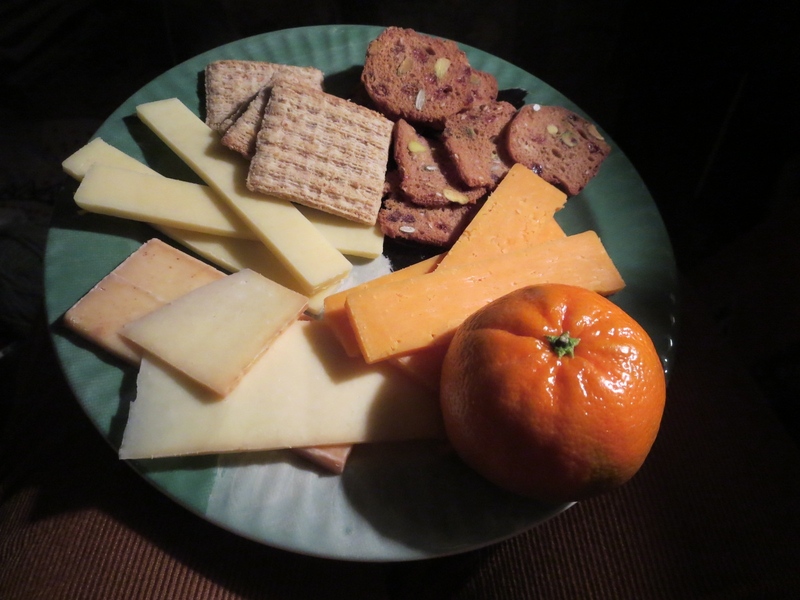 My fridge’s cheese drawer is overflowing with options, so it’s time for a dinner of cheese, crackers, and clementine. Just to the left of the Triscuits (smoked gouda flavor, no less!) is TJ’s Mull of Kintyre Cheddar. Very creamy, that one. 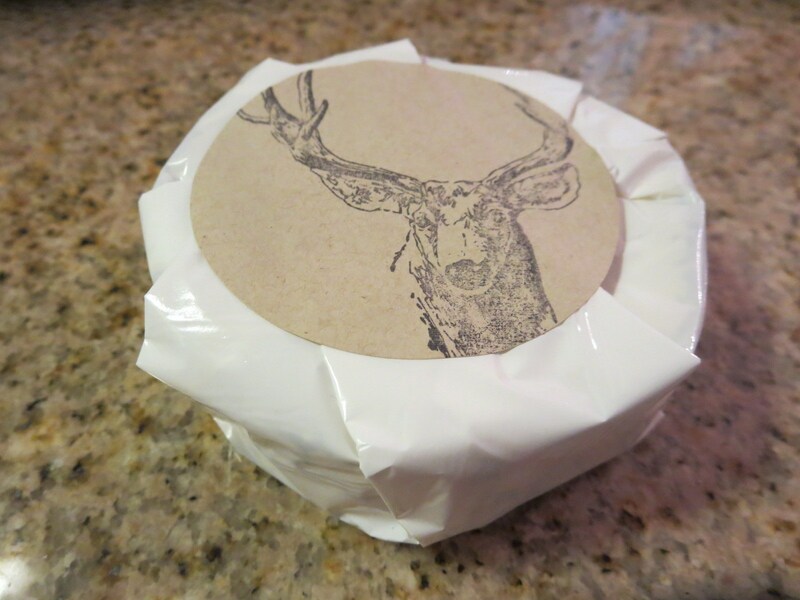 Then below it is Millport Dairy‘s Smoked Cheddar. I’ll confess I bought this one because I initially confused it with Milton Creamery and their amazing cheddar. The Lancaster County blend is nice and I know it’ll be best when melted for mac ‘n’ cheese or a grilled sandwich. Finally, almost matching the clemmie in color is the Red Leicester that I picked up as a cheese orphan. It has a very sharp, distinct flavor, so I recommend eating it with a cracker, not just on its own. It needs something to cut the intensity. Interestingly, all of these cheeses draw their names from English towns. So I decided to look them up on a map. Leicester is northwest of London in the Midlands and Cheddar lies almost directly west of the capital. Cheddar is also close to the sea, so I’ve started to fantasize about a little day trip from London whenever I’m next there. If my dream comes true, you know where to look for a report on my adventures there! 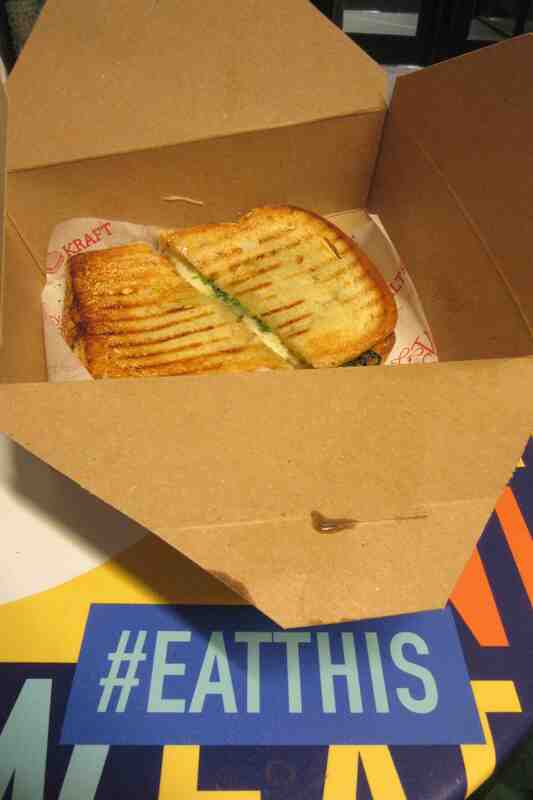 While MeltKraft had been on my list of truly cheesy places to check out, fate decided I needed to get there sooner than later because this afternoon when exploring the options in Turnstyle, an underground upscale mall near Columbus Circle, I happened upon this branch of the local chain. And they even had a special that was especially appealing, the Turnstyle Truffle Shuffle made with Tartufo Shepherd cheese, sautéed shrooms, shallots, garlic and parsley butter, fresh arugula, and truffle oil! Every single one of those ingredients is on my “yes, please” list. I took my freshly grilled sammie over to one of the seating areas that scatter the long hallway. There was the perfect slogan on the table in front of me. I did eat it and it was as delicious as you think. If you find yourself in the city and most particularly meandering through the SW corner of Central Park, wander out and underground for this mouth-watering treat. You won’t be disappointed! The World’s Best Cheese comes from a little place called…Norway! Yep, you read that correctly. The World Cheese Awards were held in Spain in mid-November, and a farmhouse blue cheese from a little farm on the west coast of Norway took home the grand prize. 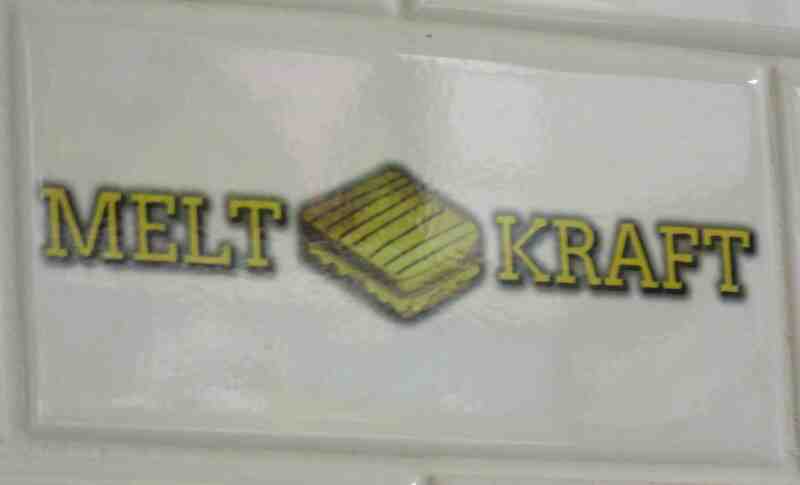 The cheese wunderkind is called Kraftkar. It’s a blue cheese made from fresh cow’s milk with a little added cream. 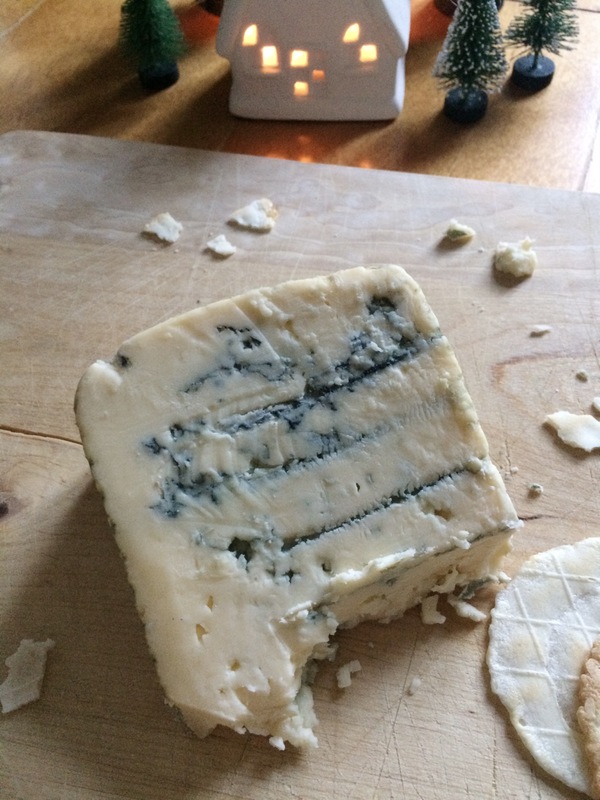 The cream seems to be what really separates this cheese from other blue cheeses. It’s not as crumbly as some of the blues we’re used to, and did we mention creamy? Oh my! 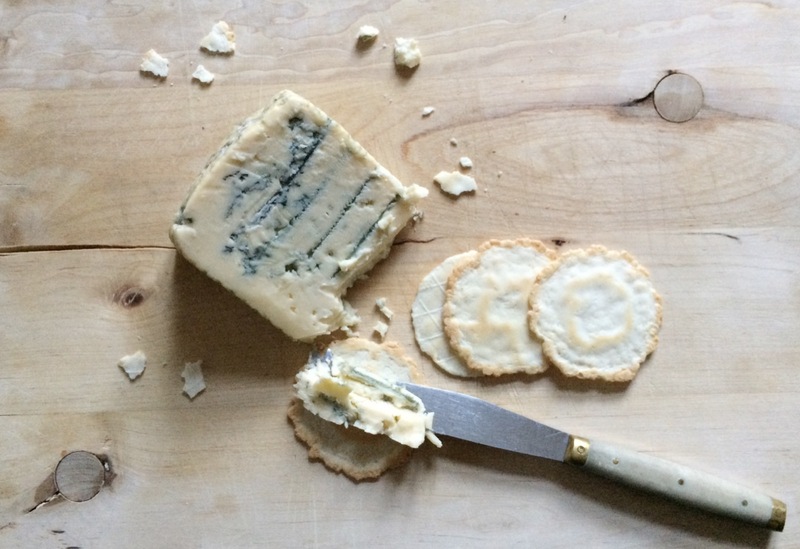 This cheese also hits all the blue notes that are required – deliciously salty, earthy and well, creamy! Kraftkar was sold out for a few days after the winning announcement, but I was happy to finally find it at one of my local cheese shops. I also remembered that Stilton and I had eaten this cheese during her visit in 2015! We know a good thing when we taste it. If you’re in Norway now or planning a future visit, make tasting this delectable local cheese a priority! It can be found at both Flâneur Food and Fromagerie in Oslo. I was shopping in this gourmet grocery when I came across the most amazing thing: behold a cheesy caramel, more specifically, a caramel truly infused with the essence of Gruyère cheese. 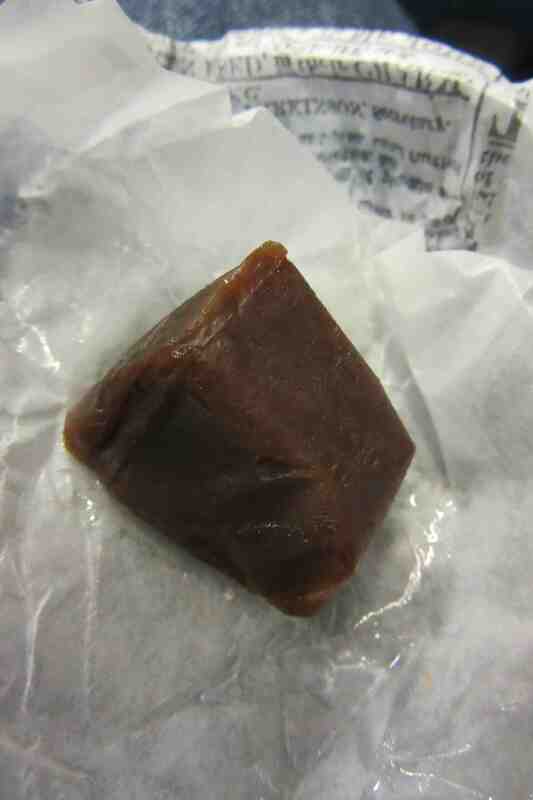 Hitting that perfect note between salty and sweet, this caramel is a wonder. Sea salt caramels have been a thing for a couple of years, but this idea kicks the salty-sweet marriage up a notch. And it works, really well. Don’t believe me? Order some for yourself. If you aren’t sold, you are welcome to send them to me. I am. When my cousin Rubi was visiting a few weeks ago, she was raving about this cheese they had at her Thanksgiving table called Black Betty. I looked it up and turns out its an exclusive, seasonal hunk, but luckily I work in just the city where these sorts of fancy things can be easily sourced. It turned out that Lucy’s Whey, which I had previously visited, sold this rare gem, so I hightailed it up there on my lunch break to get some before it was gone. They also happened to have Perlagrigia in stock and since I figured I’d be enjoying these cheeses with my work colleague who was given this cheese name, well, we had to try that one, too. Oh, and some gourmet rye crackers. Black Betty is at the top wrapped in a black wax, which distinguishes it from the younger, less mature cheeses, made by the same company. 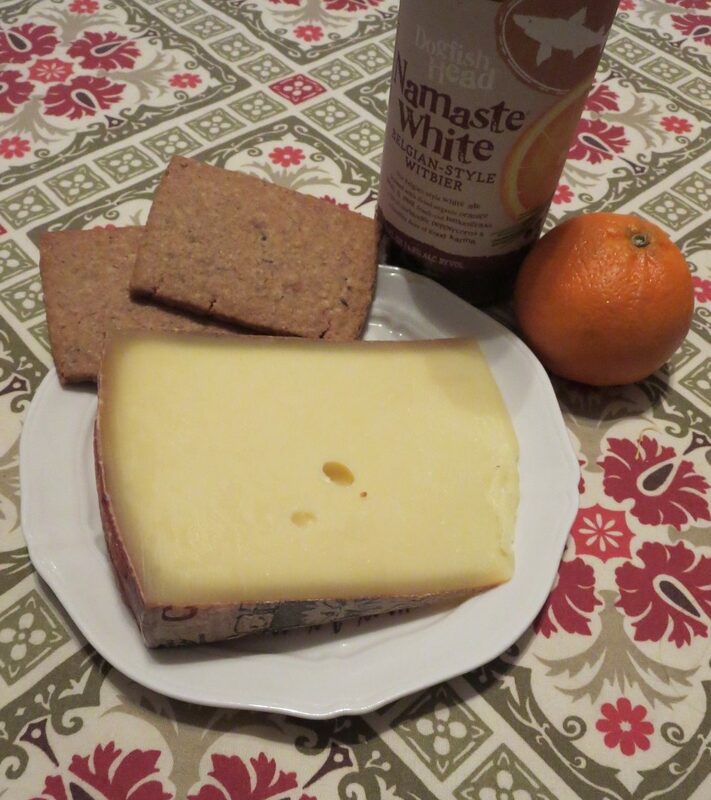 The flavor of this goat gouda was intense, but in a good way–it paired perfectly with those rye crackers. Perlagrigia has a dusty rind coated with truffles, cinnamon, and nutmeg. Mmm, mmm, good! I’m not sure we were able to pick a favorite between the two–let’s just call it a tie. They were both equally delightful. If you’re ever in a cheese shop (particularly round the holidays) and see them, snap them up. These are not-to-be-missed!